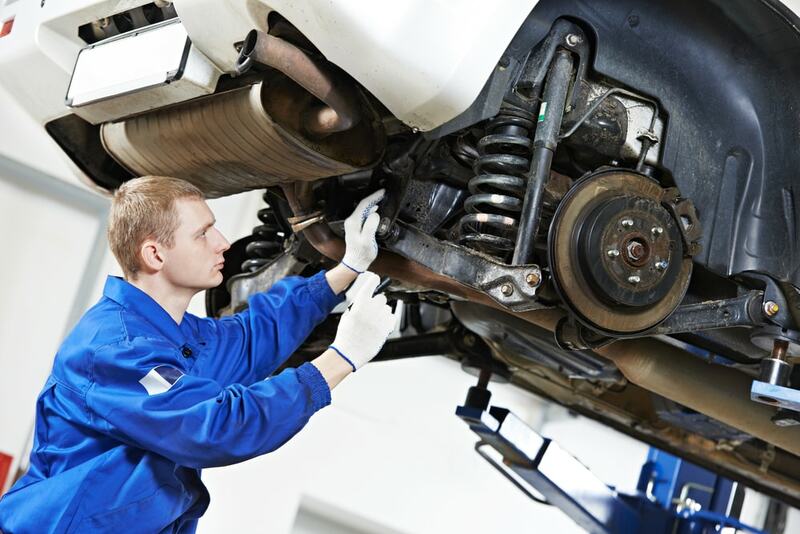 Your typical new car buyer does not always go in expect it to run like a race car. And yet they’d be surprised to find out how much of modern car innovation comes from developments that began in motorsports. Skilled driving is not the only important factor when it comes to winning Formula One or NASCAR cups but also the unique engineering that goes on in that world. These days in order to compete in their own race for customers, consumer car companies often adopt racecar manufacturing. This allows the very same car you drive to go through each of its model more advanced and competitive than the last one and other brands. 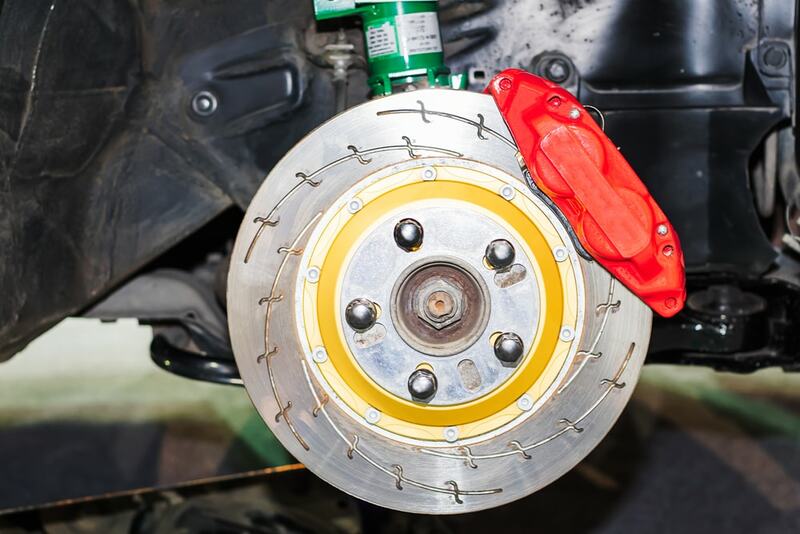 Many mechanics will tell you that disc brakes are better for you and your car than the previously standard drum brakes. 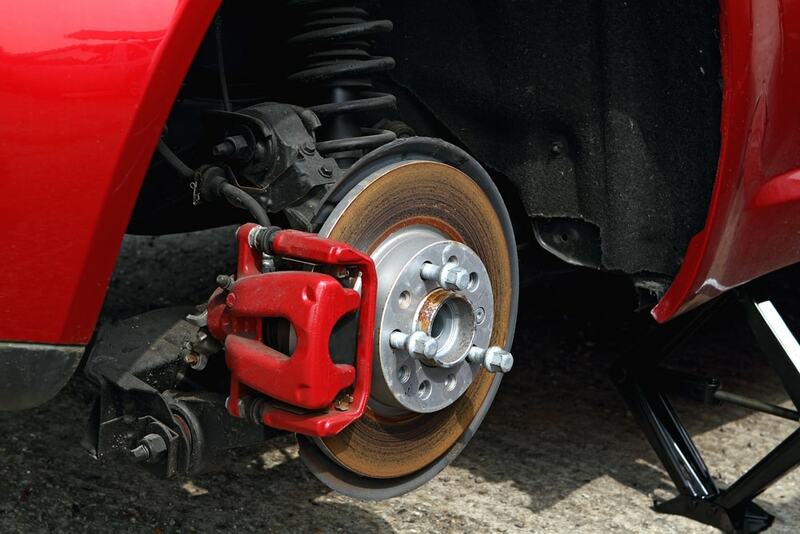 Drum brakes have been the default for many cars built since the early 1900s. The something happened: in the 1953 24 Hours of Le Mans Grand Prix, Team Jaguar entered three C-Type racing cars with their recently developed disc brakes equipped. Jaguar and the British won the race with them. Soon, cars with disc brakes were made available to the public but were only mass produced when the Citroën DS was introduced in 1955. Sports or “sport-trimmed” cars tend to demand the tighter brake operations so most of those vehicle types today utilize them. It’s the miracle material. 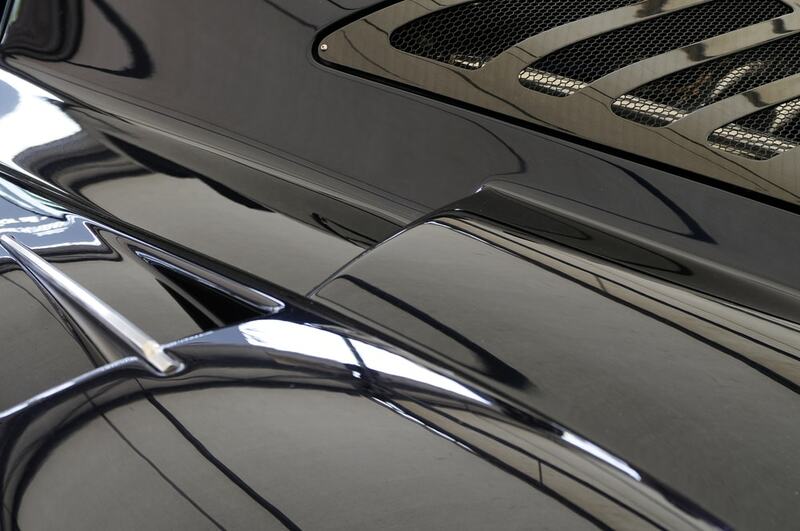 Rather than the metal used on most vehicle exteriors, carbon fiber is both extremely strong and very thin and light. In the world of motorsports, high-performance racecars need to be fast, durable and as compact as possible: carbon fiber fits all of those demands. Back in the day, Formula One racecars were made of metal then in the 80s many teams turned to carbon fiber to give them a competitive edge. 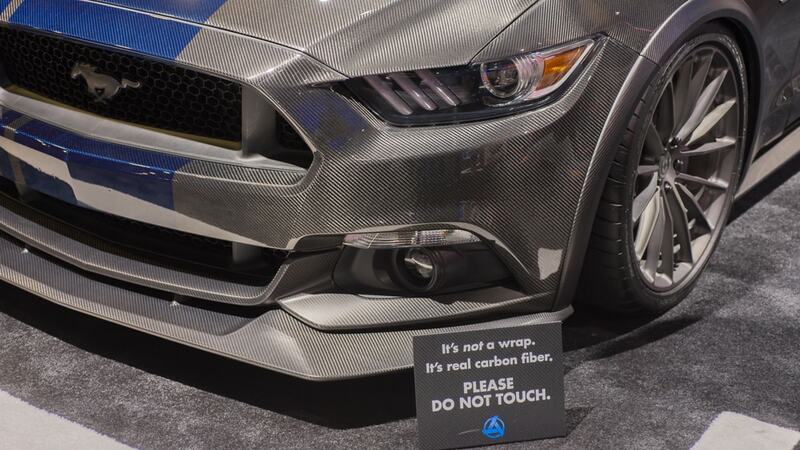 Of course, carbon fiber is notoriously difficult to work with and manufacture so it was not made available to consumer vehicles until recently. Now automakers use carbon fiber for create sleeker and lighter frames or parts on the exterior. 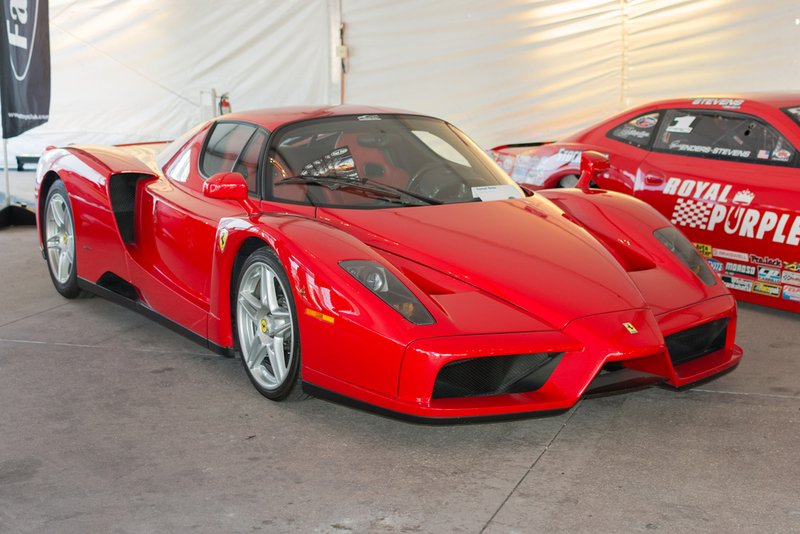 Only more exotic cars have full carbon fiber bodies. 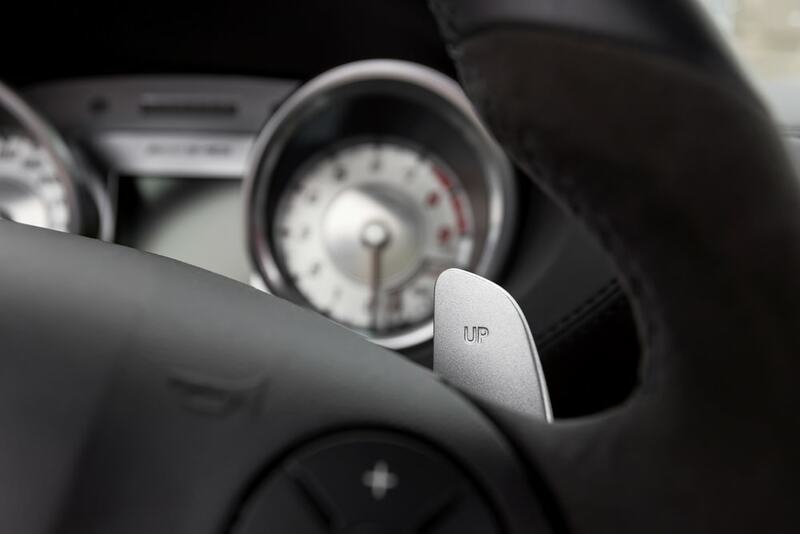 As opposed to using a key to start their car, racing automobiles have always implemented a push-button ignition on the side of the steering wheel. Rumor has it that this was done to reduce the startup time for drivers when in the pit lane. With it, the car would start as soon as the driver puts it in first gear. Today it’s all but standard on new automobiles. Other companies created a “Smart Entry” which unlocks the car when the driver’s key fob is within certain proximity of the car automatically. Sometimes these systems stop turn off the car when the fob is out of range. A racecar driver has to be fast, they can’t waste any time. Some would take this fact and assume perhaps their cars use automatic transmission to cut down on gear shifting. They are half-right. Racecars use a semi-automatic paddle shifter, which was first built and introduced by Ferrari in their racing cars in 1989. Paddle shifting allows drivers to still have control over their car’s gears but is much more user-friendly than a stick AND reduces the delay in shifting. Since 1995, all Formula 1 racecars come standard with paddle shifters, and recently road-class models from Ferrari, BMW and Porsche have models with this option. Here’s where things get a little more technical. If you sneak a peek inside a car’s engine, the camshafts would be the things that those valves for air exchange within the engine. Most motorsport class vehicles use dual overhead camshafts, or DOHC’s which give their cars the ability to pump more air through the engine cylinder. In plain English, that means more power at higher speeds. It was first introduced in 1912 by Georges Boillot, the winner of the French Grand Prix. 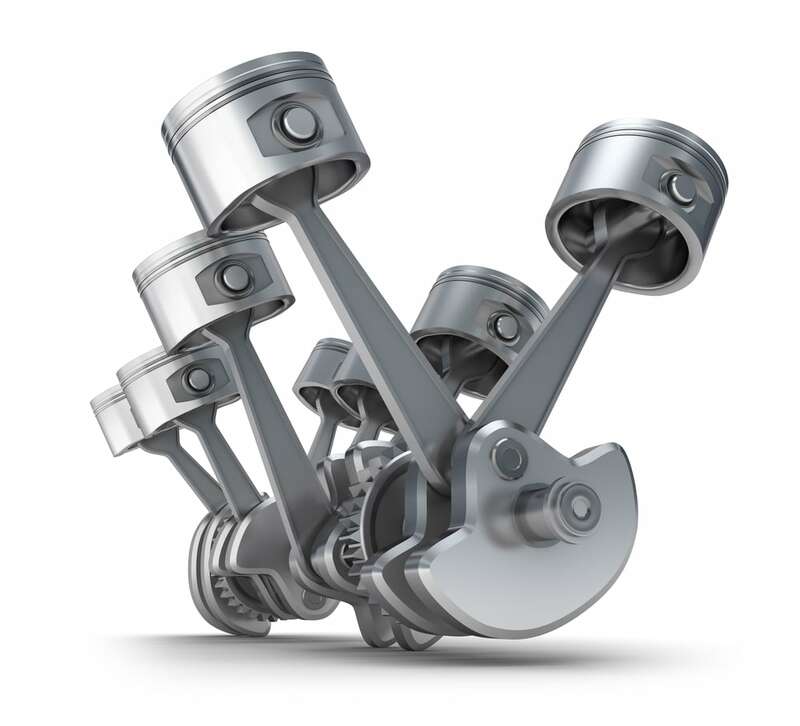 Today it is common engine design used in modern production vehicles. This a unique system that allows the car save up energy even when you have braked/stopped (but not in park). It allows your car to eventually accelerate later with the push of a button or as soon as you remove your foot from the brake pedal and onto the gas pedal. Abbreviated as the KERS, it was first tested out in Formula 1 cars in 2008. Today, automakers developed variations on the KERS to improve fuel efficiency and performance. Right now only the McLaren P1 and the Porsche 918 RSR concept car use a motorsport class KERS. You ever notice when you are driving on the ice and you hold the brakes down there’s a distinct vibration going off on your foot? That’s the ABS. Anti-lock brake systems work by automatically applying and release pressure on the brakes rapidly in order to help drivers maintain vehicle control. These days their primary purpose is to decrease braking distance. Once upon a time ABS had only been used on airplanes until the Ferguson P99 racecar was produced in 1961. As of 2011, Anti-lock brake systems have been required in the United States government on all new production vehicles. Yes, this was indeed a motorsport-first option. For a little history, look no further than the first Indianapolis 500. Driver Ray Harroun attached a mirror to his racecar so that he could keep track of the cars behind him. This was because at the time most race car drivers had to have a passenger to ride with them to monitor the driver blind spots. 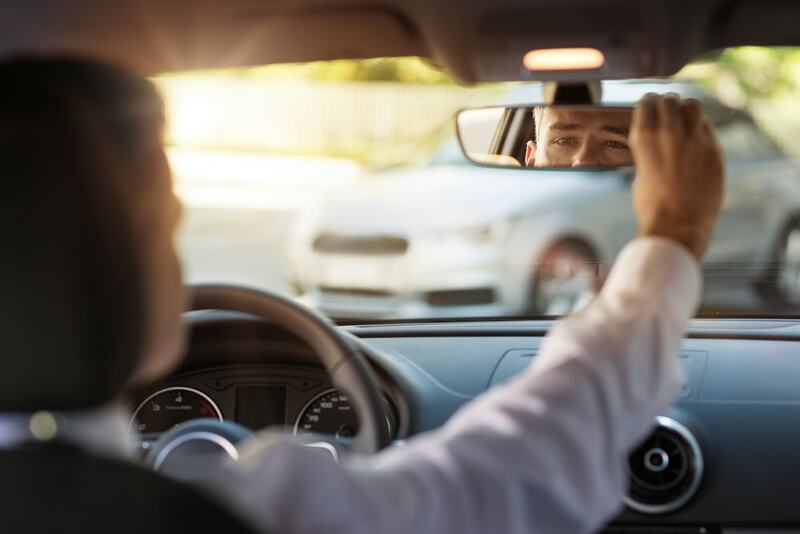 Wildly contested, in the early 1900s it was said that car owners would hold a small mirror up periodically to check for traffic behind them. In 1914 it became standard practice for all production cars to have a rearview mirror. It was a scientist by the name of Wunibald Kamm who discovered that a high, flat roof and an angular rear end allowed cars to cut through the air. This innovation was first equipped on the Ferrari 250 GT Drogo. Modern cars have refined the shape even further. Today we often call them rear spoilers and wings. It was all rooted in the fact that racecar engineers were always looking for ways of balancing drag and traction to create an aerodynamic car. Every single suspension system in cars today comes from racecars. Simple physics demand that all cars perform better when all the tires are in contact with the ground. That is why they must be able to move independently of the other wheels as over bumps, potholes, and other uneven surfaces. When they were new, two kinds of independent suspensions that were developed for racecars: multi-link suspension, which originated in Formula 1 and is standard on off-road vehicles; and “MacPherson struts” which originated in NASCAR. It is difficult to imagine being able to drive without any of the above innovations. You see readers, motorsports are not just entertainment, they create a space for automobile makers to develop the best technology for the most intense conditions. Nearly every time a new standard makes cars safer, more durable, faster and more efficient it probably began on the track.